Triple H will undergo surgery tomorrow morning for the injury that he suffered at Crown Jewel. After WWE announced on Friday that Triple H suffered an apparent torn pectoral muscle and planned to travel back to the United States to undergo surgical repair, Triple H posted a picture of the injury today and confirmed that he will be having surgery on Tuesday morning: "Surgery in the AM... ...makes you stronger." Dave Meltzer noted in today's Daily Update that Triple H was scheduled to undergo a full evaluation today to find out the exact injuries that he suffered during the Crown Jewel main event. 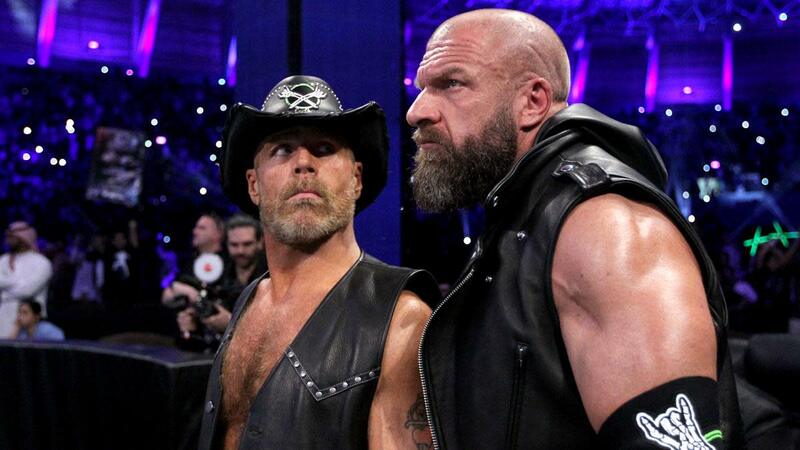 Triple H teamed with Shawn Michaels against The Undertaker & Kane at Crown Jewel. It appeared that the injury happened early in the match when Triple H was whipped into the corner and took a bump over the top rope. Triple H finished the match and eventually pinned Kane after hitting the Pedigree.